“Unexpectedly Yours” is a romantic film hampered by its relentless attempt at recapturing what is already outdated, and in the process, wasting the opportunity to flesh out a better movie. Directed by Cathy Garcia Molina, “Unexpectedly Yours” is the reunion project of Robin Padilla and Sharon Cuneta who play former high school batchmates reunited after three decades. Padilla’s character, Cocoy, still harbors feeling towards Cuneta’s Patty and tries to pursue her upon learning that she is separated. 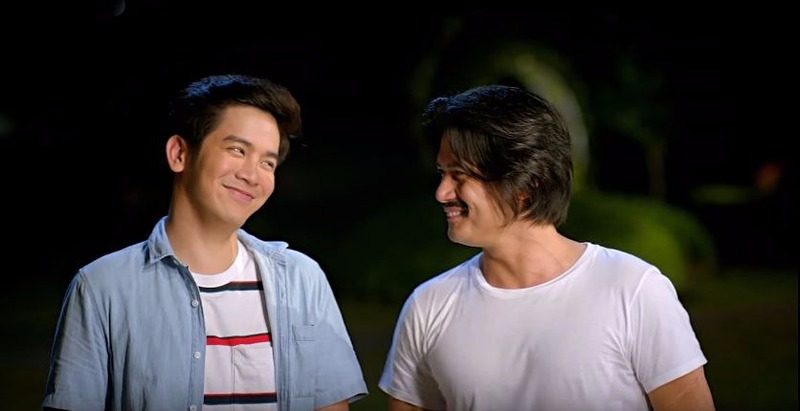 Joshua Garcia’s Jason and Julia Barretto's Yanny play the roles of his nephew and her daughter respectively, who are also supposed to have their own romantic narrative thread going on. For a romantic movie, this film fails big in the romance department. The overly-cute millennial type of love story just does not work with Cuneta and Padilla, not because they do not have any chemistry, but because it’s jarring that these two grown-ups act as if they are in their teens. The dialogs tend to be inappropriate, borderlining cringeworthy. 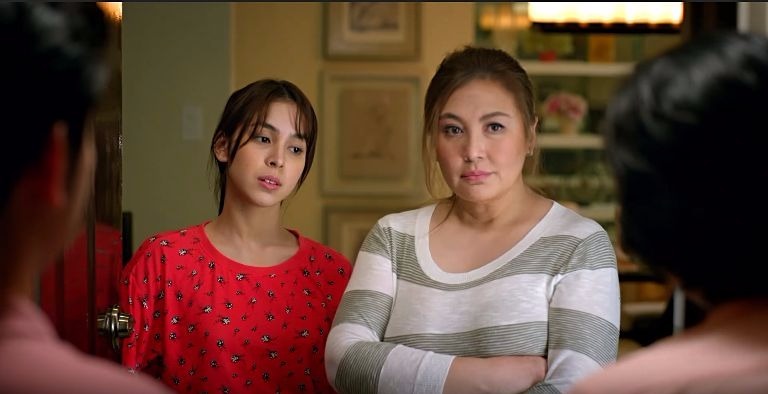 And instead of developing a well-balanced story by highlighting the relationships of all the people across the board, “Unexpectedly Yours” focused its energy too much in making its veterans more like kids dabbling on the idea of first love. While the movie attempts to destigmatize mid-life crisis, it does it in an insensitive way. Patty’s weight and reaching menopausal stage were hammered way too much in the movie, to the point that despite being presented as humorous, it is almost a hurtful insult sugarcoated as a joke. The impact is no way diminished by having her acknowledge the same thing in a self-deprecating way, only made worse by her trying to act seductive all of a sudden. It double downs on the weight aspect in a bad way by giving her assistant a speech impairment just for a couple of chuckles every time people hear her call her boss “Fatty.” The intention to inspire women who might find themselves in a similar position is there, however, it was very poorly executed. Luckily, there are two major saving grace for the movie. First, Garcia and Barreto once again prove that they have the acting chops to be worthy of being called actors. The two exudes chemistry despite not having much physical interaction. It’s such a shame that they were pushed aside, almost neglected, just to give way to their co-stars’ supposed love story. The second one is the superb dramatic scenes acted out by the cast, especially from Barretto and Cuneta. Their mother-daughter moments stood out in a way that they do not get over-the-top. No loud bawling, no screaming, no unending streaming down of tears, but audience can definitely feel the weight of their emotions just by looking at their faces. It’s hard to come to terms with the fact that despite great potential, “Unexpectedly Yours” misses the mark on several key points when it comes to rom-coms. Truly, it is not because Cuneta and Padilla can no longer work as a love-team given their age. If anything, Richard Gomez and Dawn Zulueta have proved that love stories are just for young adults. If only there was a more appropriate narrative for their characters then the film could have worked.